I have never been much for believing in coincidences. The Bible says that God directs our steps and knows just how many hairs are on our heads, so it is hard for me to imagine Him leaving things to chance. My son, Jonathan, entered a drawing for a professional photo shoot a couple of years ago and won. Funny thing, Jonathan was always entering contests and seemed to have a knack for winning. He won a beautiful flat big-screen TV from a drawing also before that. The photo shoot was taken in Spring of 2011. 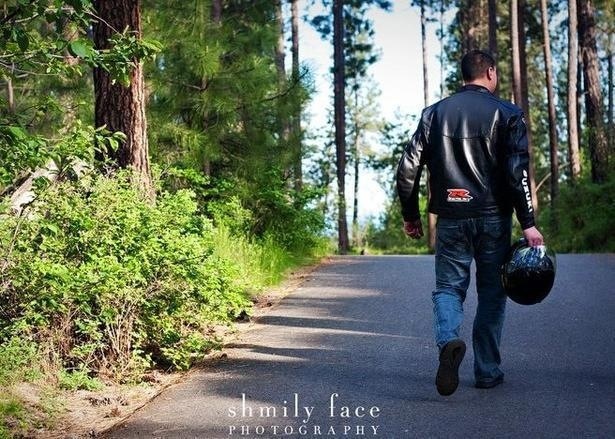 Just months later, on September 24, 2011, Jonathan was killed in a motorcycle accident at the age of 27. Months after his death I was going over some pictures taken when my husband, Deran, and I attended Jonathan’s police academy graduation early 2007. Deran held the camera and was instructing me to stand next to Jonathan for a photo; and unintentionally pressed the record video button. This video shows Jonathan’s nutty personality. I specifically remember almost deleting this video when I first saw it years ago, but thought I should save it for another time. Thank God I didn’t delete it then as it has become priceless to me. I am very grateful to have a close up of my son, even if it is just a few seconds, because for those very seconds I have him in my life again. Are the facts that he won the photo shoot and that the “accidental” video was taken (and that I almost deleted it but didn’t) mere coincidences? I don’t believe so! I believe these were providential gifts for those of us remaining behind as God knew He would be taking Jonathan with Him. These have been a huge blessing to me. Today is the second year anniversary of my son’s heavenly homecoming. The experts say the loss of a loved one, especially a child is always harder the second year. I can say this is true. I have no doubt I will see Jonathan again. We will embrace in the sweet joy and love of heaven in the presense of the King of kings. Love the photo. You’re right, it looks like he’s walking ahead and will be waiting to be reunited one day. May it be soon! Thank you Tami. It has been rough week. I am looking forward to that day! Oh, the amazing providence of God! Thank you for sharing your heart! He is pretty amazing, that’s for sure! I am counting on it!